At least once in their lifetime, every manager or supervisor will face a situation where a member of their team isn’t performing up to the mark. The situation is frustrating for the entire team whether the underperforming team member is failing to complete his or her job responsibilities on regular basis or is simply slacking off. Contrary to what most managers believe, firing the underperforming employee isn’t the best thing to do here. Instead, you need to get to the bottom of things and find out why the employee or team member is underperforming. 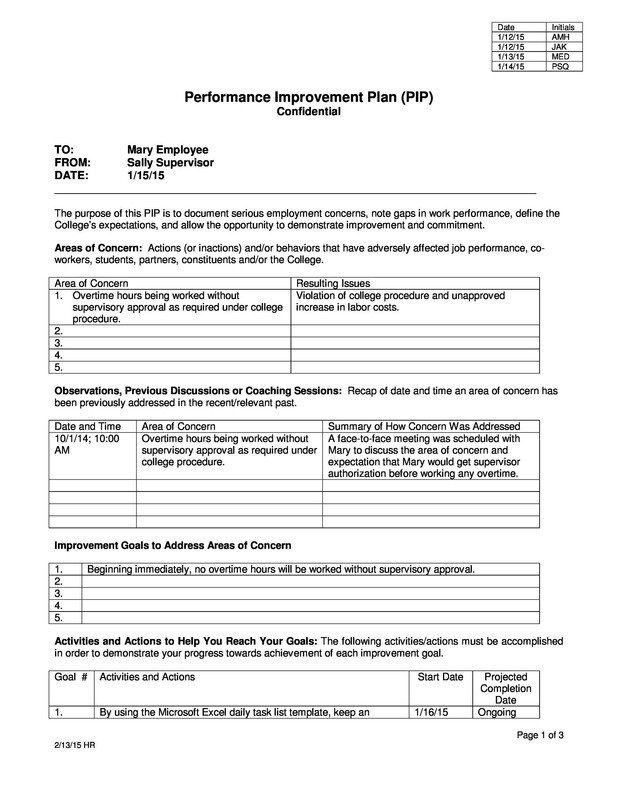 1 What is a performance improvement plan (PIP)? The employee may have many ‘good’ reasons for underperforming and not meeting expectations. However, you can only find out the reasons for underperforming and correct the shortfall if you communicate effectively with the employee or team member. Furthermore, this may reveal deficiencies within your management system and corporate expectations. However, you may need a more impactful approach if the performance of the employee doesn’t improve after the communication. 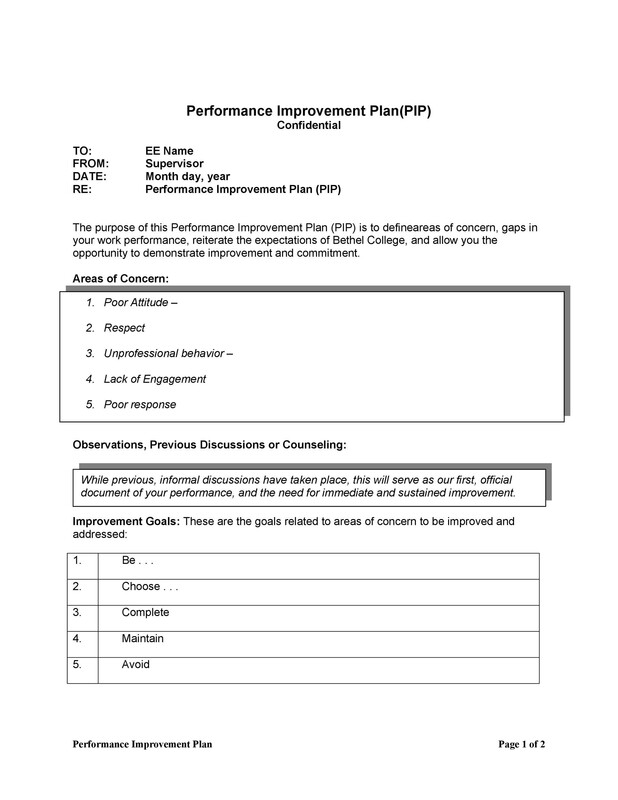 One such approach is the performance improvement plan (PIP). 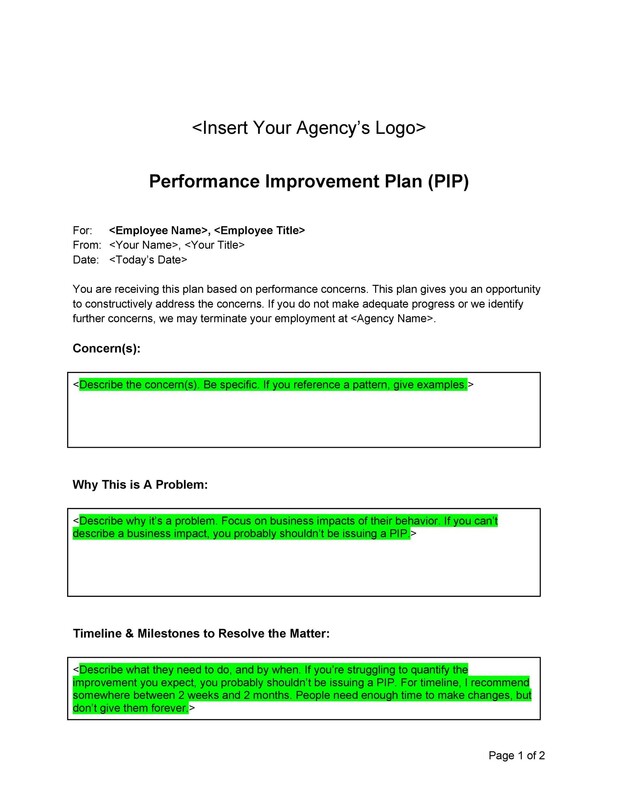 Also known as performance action plan, a performance improvement plan is commonly used when it is being supposed that an employee hasn’t performed to satisfactory standard.PIP holds struggling employees accountable for past performance while providing them the opportunity to succeed. 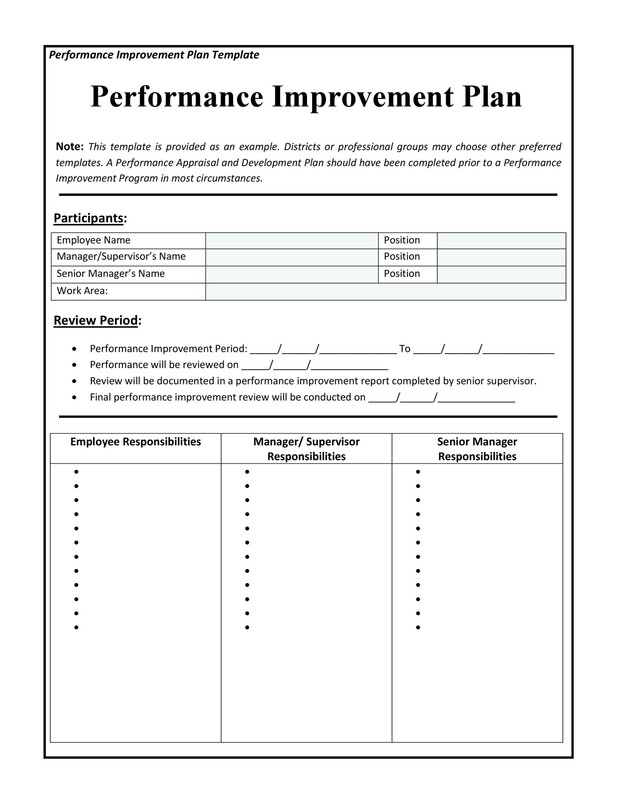 A performance improvement plan helps employees or team members to improve their work performance and/or behavior. 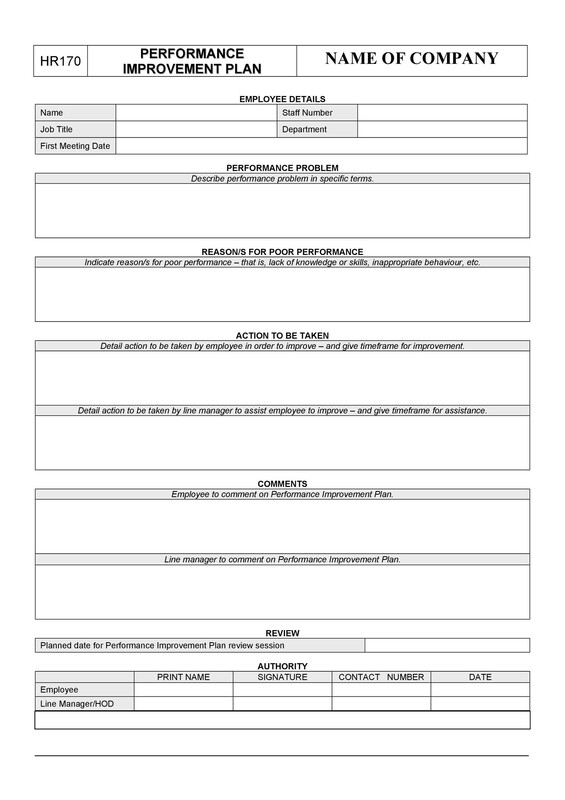 After you’ve performed the aforementioned actions, the performance of the employee should improve within a month or so. 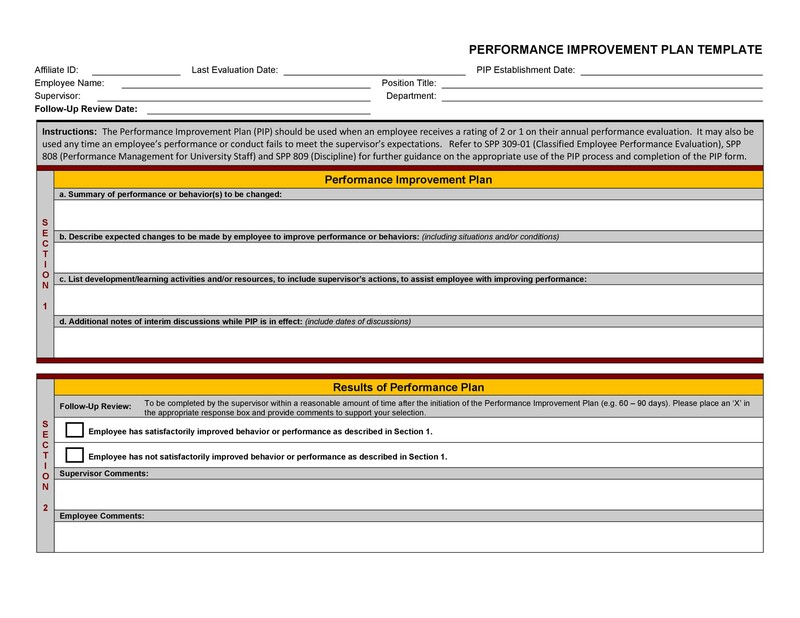 In case the performance doesn’t improve, a performance improvement plan will be required. 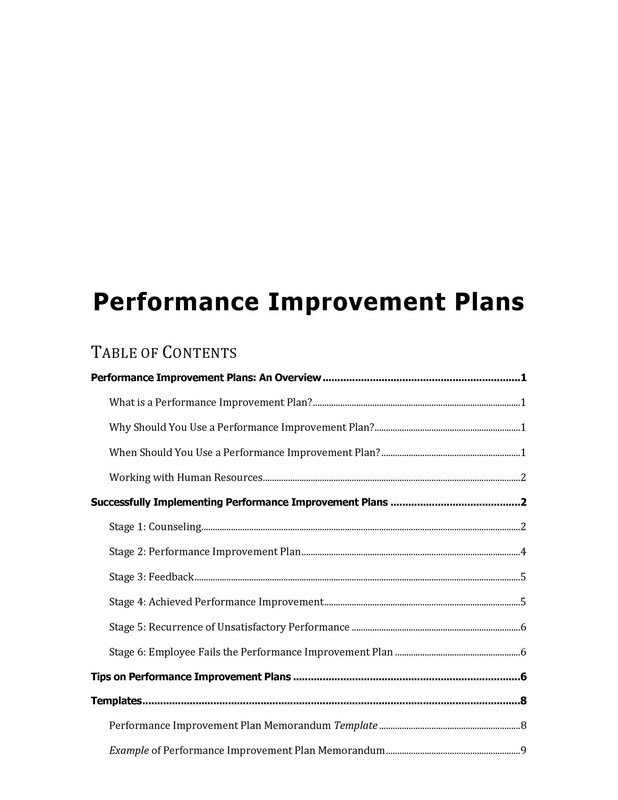 Over a reasonable period of time, a well thought out and drafted performance improvement plan should improve performance and/or behavior. 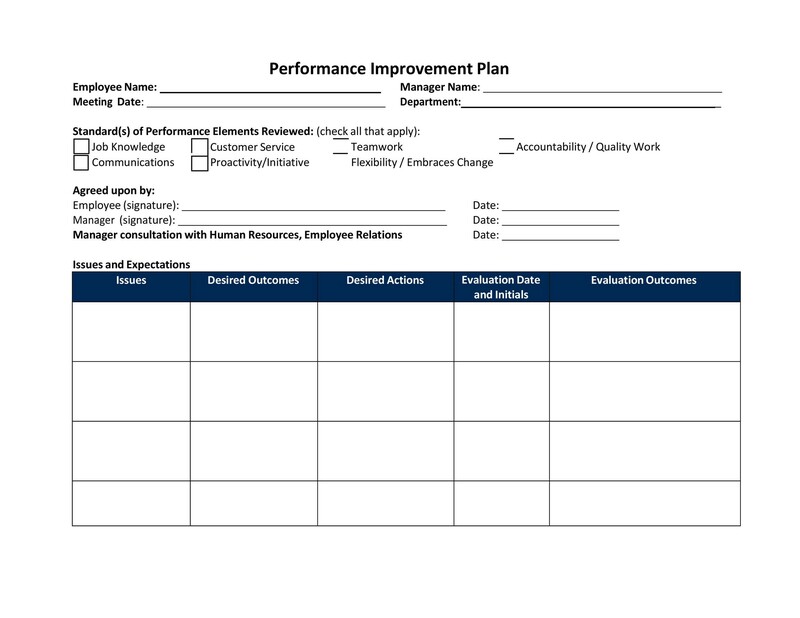 It is important for you to set up a performance improvement plan in a way that benefits your employee and doesn’t expunge them. The primary purpose of a PIP is helping an underperforming employee perform at their best for your company. 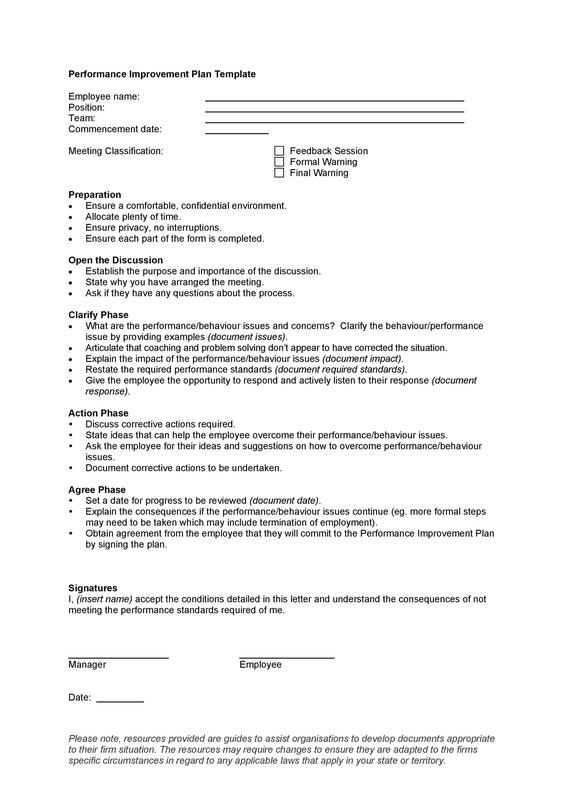 Your employee will get a clear idea of what is expected of them if you lay out clear guidelines. This in turn will allow them to move in a direction that improves performance and/or behavior. 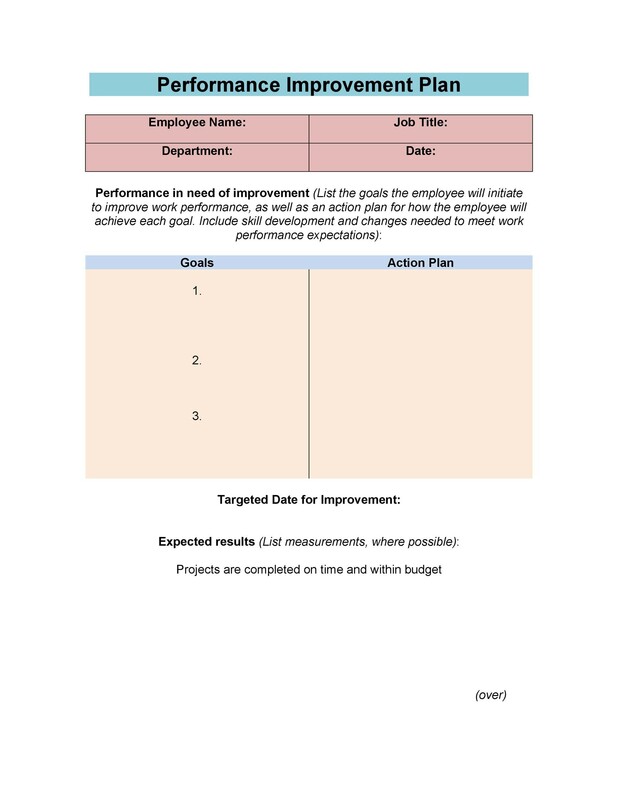 By following an appropriate performance improvement plan template, you will be able to set goals, chart the progress of your employee, conduct review sessions, and measure success. 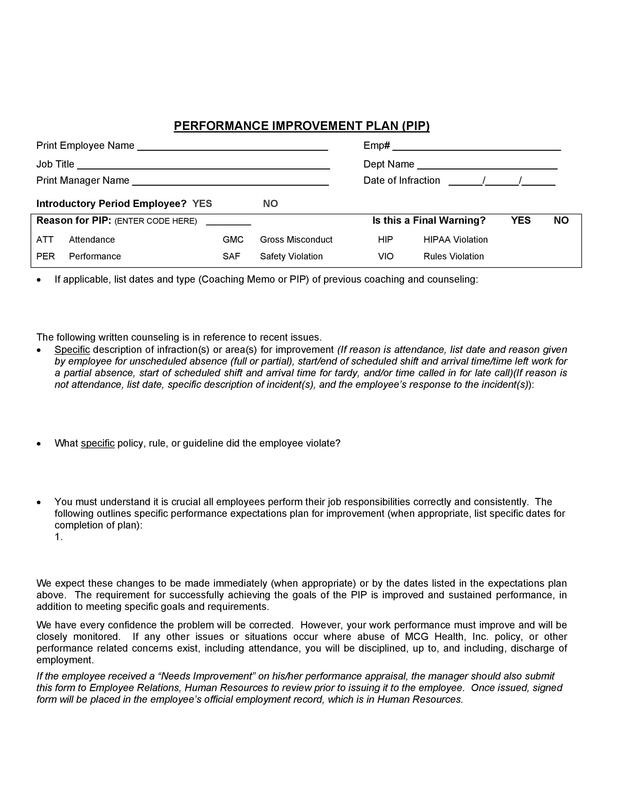 A performance improvement plan should clarify the required level of the work performance and facilitate constructive discussion between the employee and his or her manager. 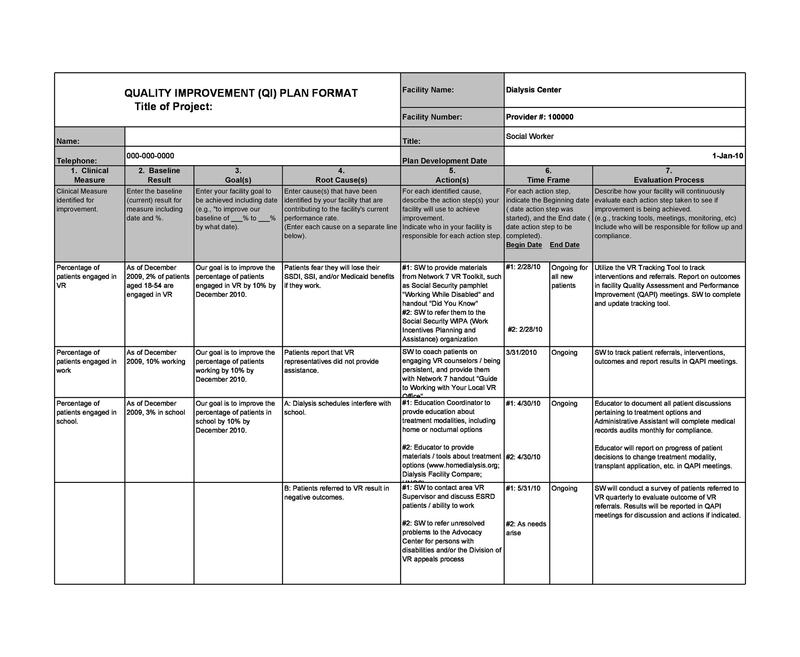 The minimum expectations and performance deliverables that must be achieved within a given time period is what your performance improvement plan must outline. 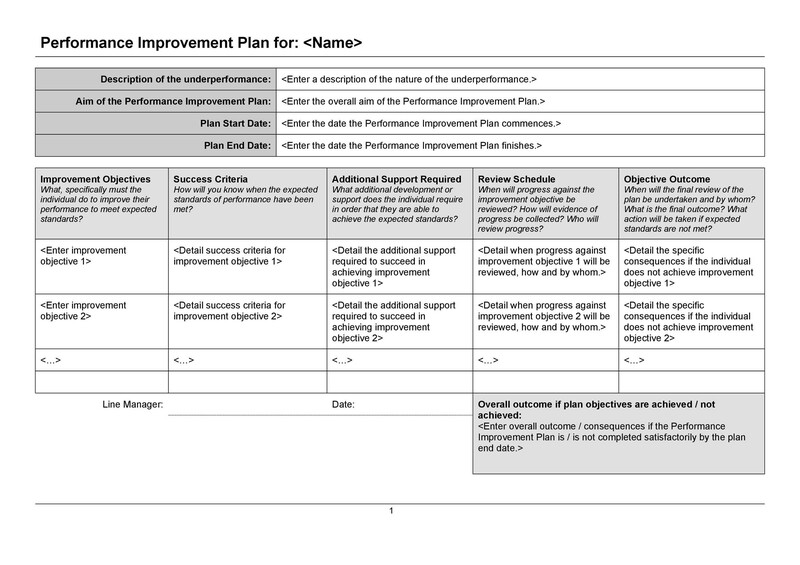 Following are the steps involved in drafting a performance improvement plan. 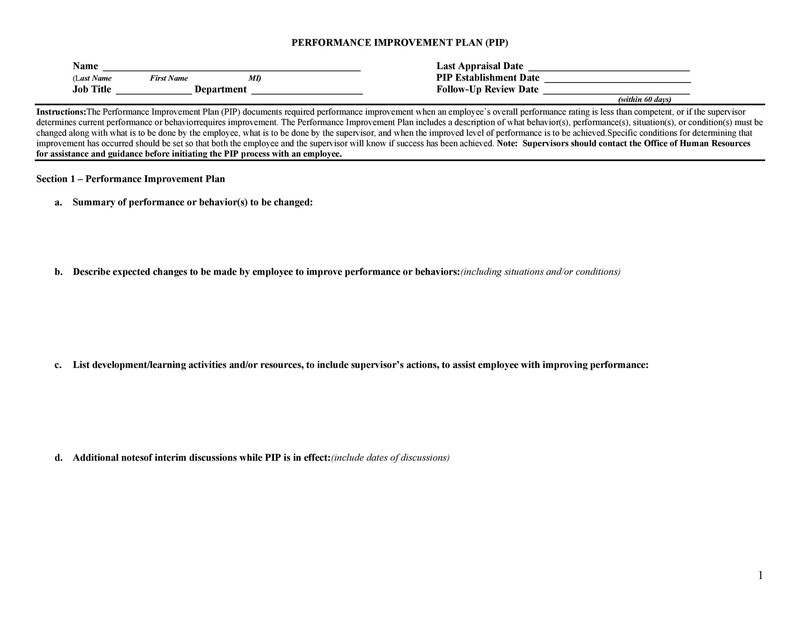 The first step in drafting a PIP is determining whether the problem is a performance or a behavior problem. List the problems separately if there is more than one. You should state clearly why the performance or behavior of the employee is a concern and how it’s having a negative impact on the work environment. Events and facts that indicate the problems (s) must also be included in a PIP. 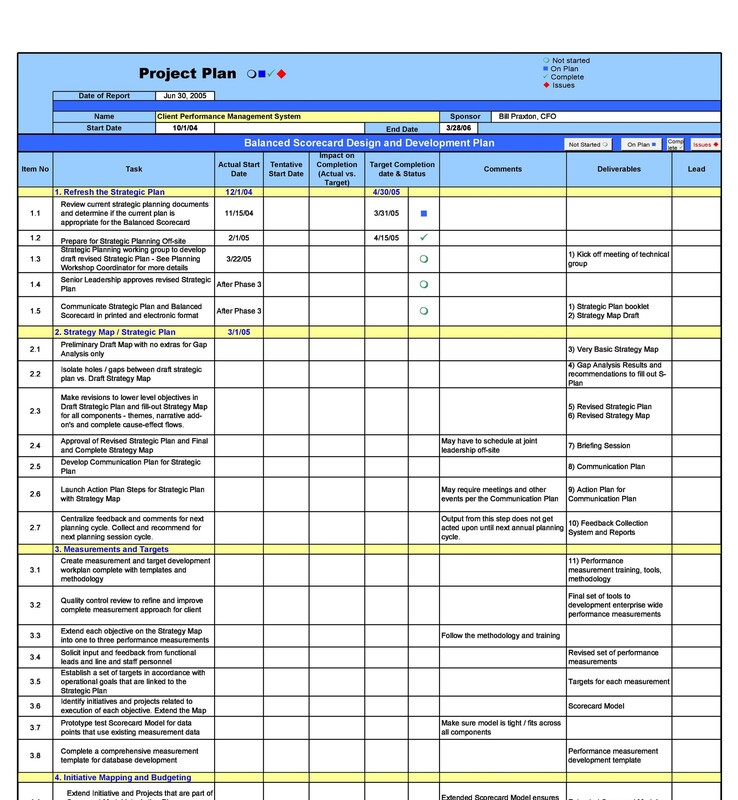 In order to improve performance, identify specific and measurable steps. 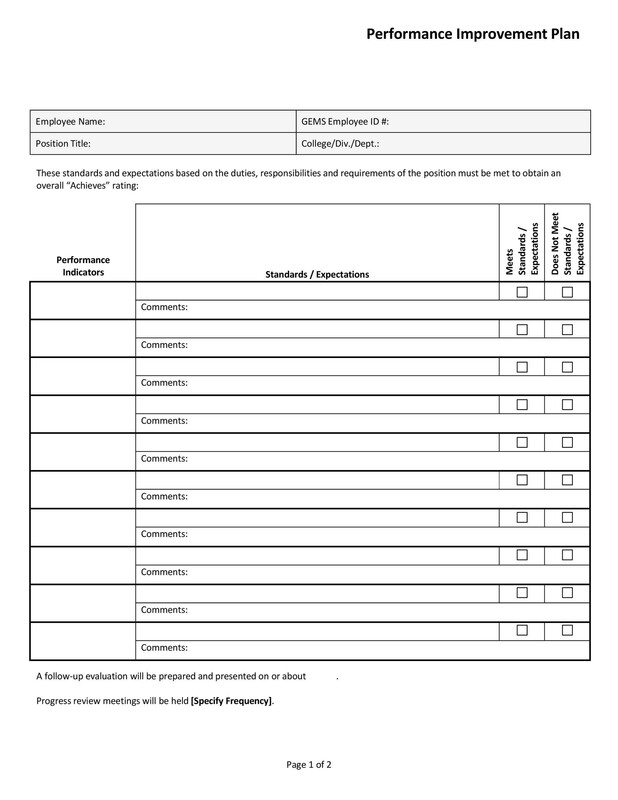 By defining them in detail, ensure that the employee understands the expectations clearly. 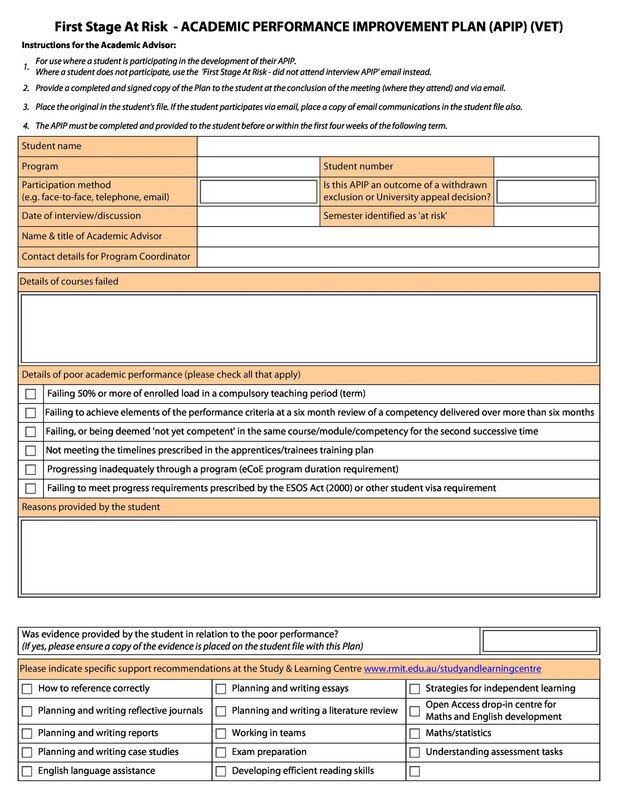 Furthermore, make sure that the expectations are reasonable and achievable within the assigned time period. 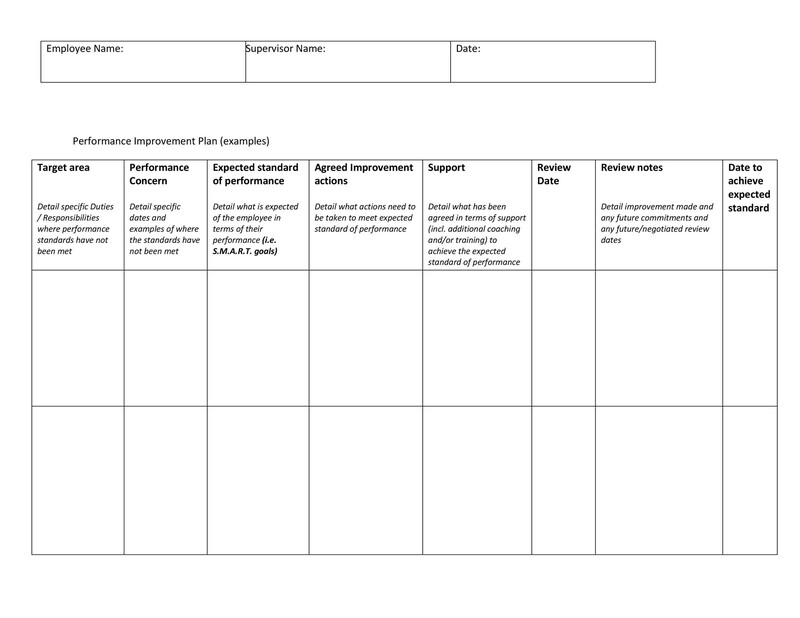 Finally explain to your employee how they can improve when you meet them. 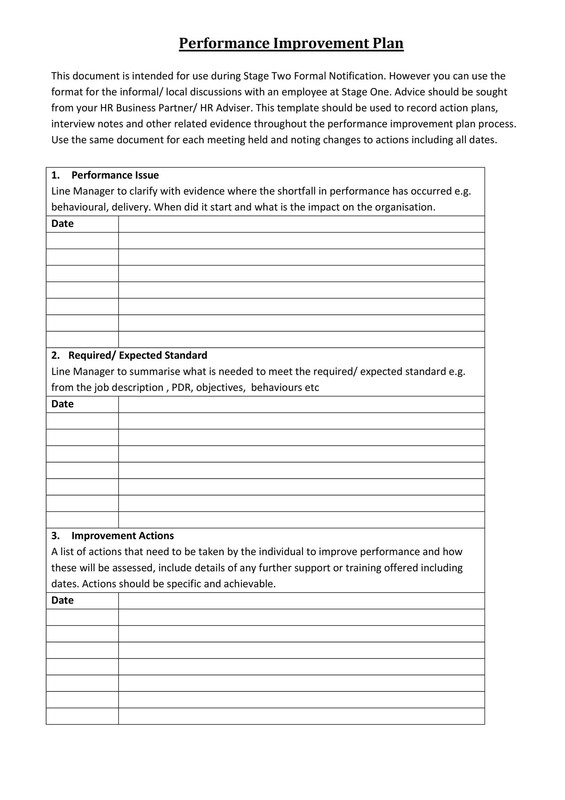 It is important for you to identify a realistic time period for accomplishing the required performance/ behavior change for each area identified in the performance improvement plan. Depending on progress, this time period may be anywhere between one and six months. However, you may extend a PIP in extreme cases. 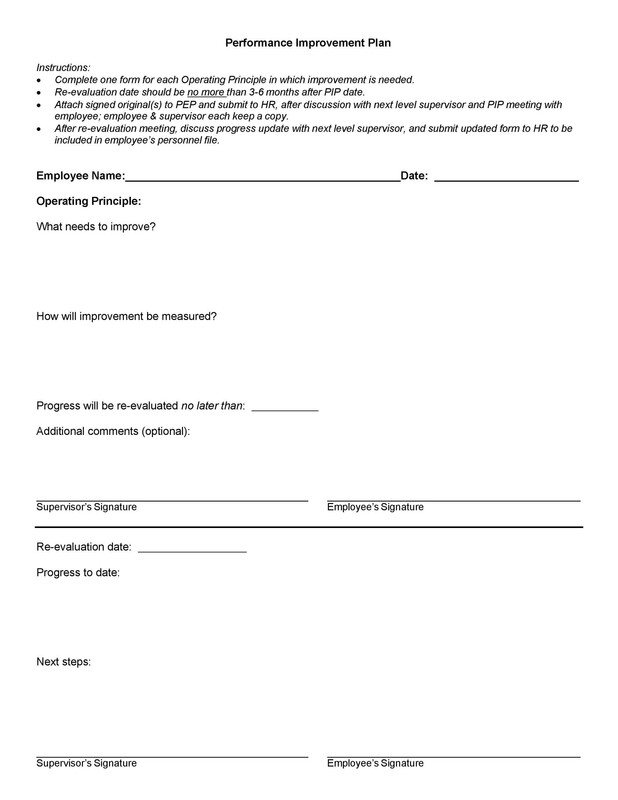 Review the PIP by meeting with the employee .The employee must be aware of what will be reviewed. This is something managers must ensure. 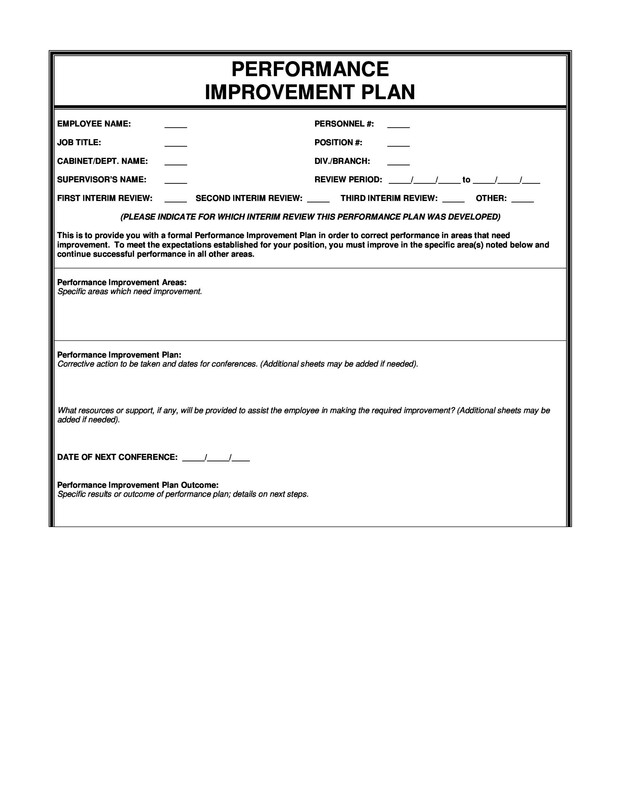 After receiving the employee’s feedback and input, you may need to modify the improvement plan slightly. 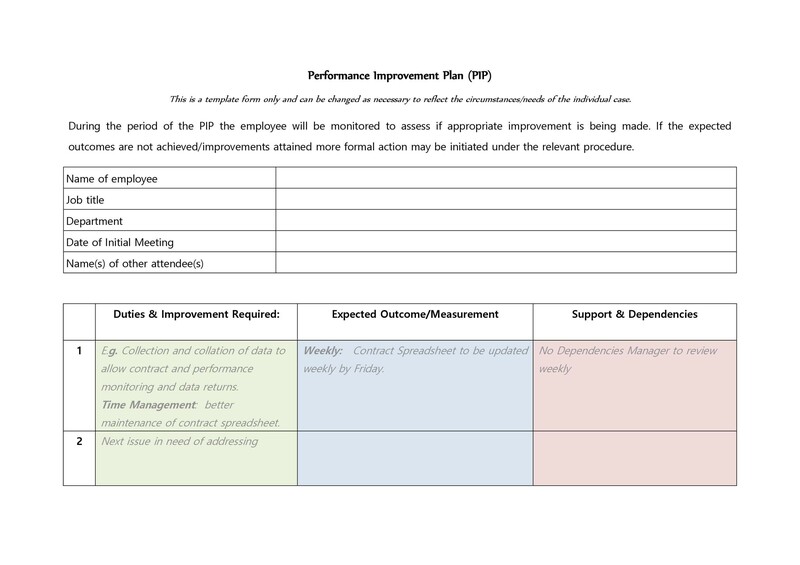 The manager and employee should sign the performance improvement plan once the changes to the plan have been made. 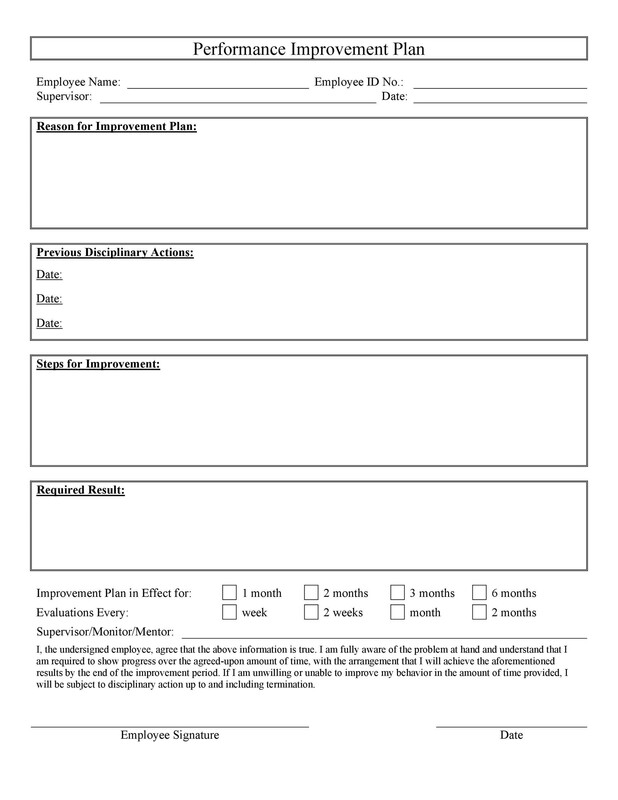 Apart from the formal PIP review meetings, managers should schedule monthly follow up meetings with the employee as this will ensure active contact with the employee or team member. 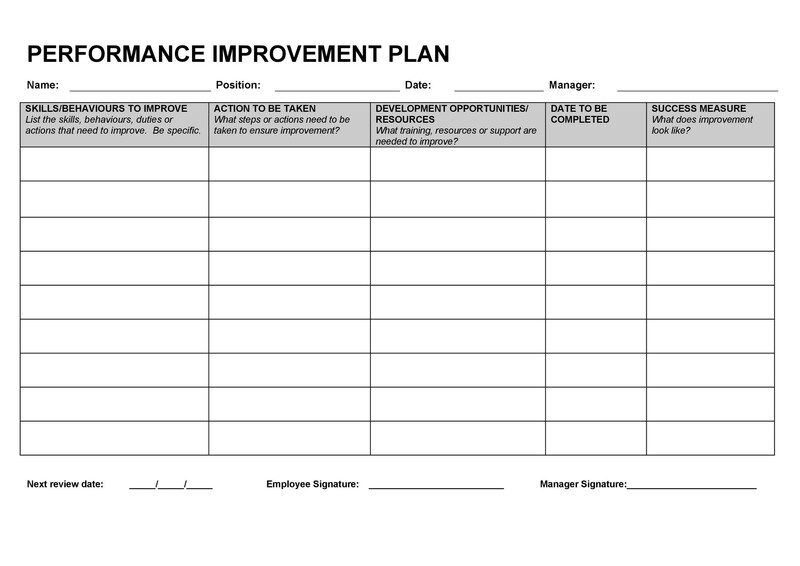 After meeting with the employee, managers should document improvement being made toward the expected outcome(s) or continued areas of weakness in the performance improvement plan. In order to help the employee make the required changes/improvements, identify the support and resources available to him or her. This may include time away from usual responsibilities, funds for training activities and materials or other people’s time or expertise. Furthermore, you must state the support management will provide. Examples are job shadowing or mentoring and arranging seminars and off campus classes. Also, request your employee to identify the resources they believe might be helpful when you meet them. 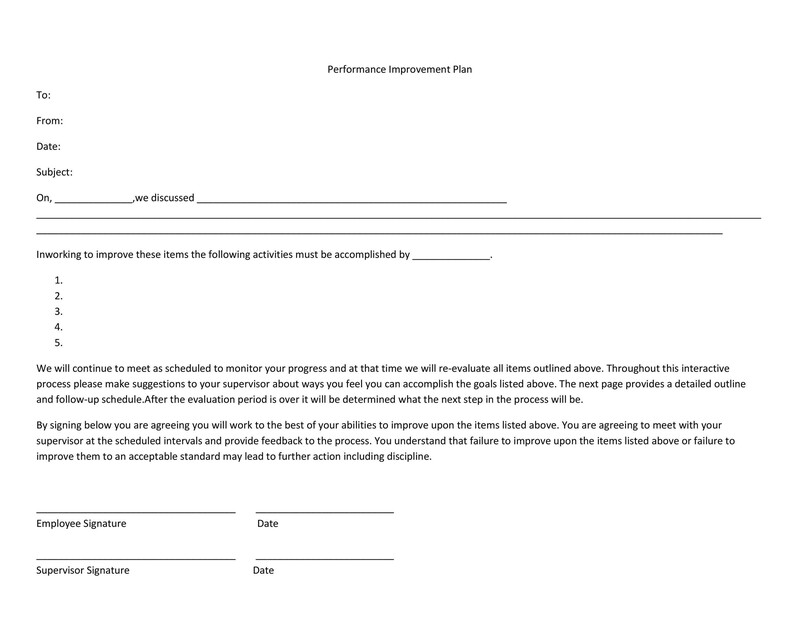 Your performance improvement plan should clearly state the consequences of not meeting expectations. The consequences may include temporary job suspension, loss of privileges, extending the PIP for another specified period or termination of employment. Understanding the gravity of the situation is important for the employee. However, you’ll only further discourage or de-motivate him or her if you focus too much on the negative consequences. Therefore, it is important to convey to your employee that you’re implementing the plan only because you’re genuinely interested in seeing him or her succeed. 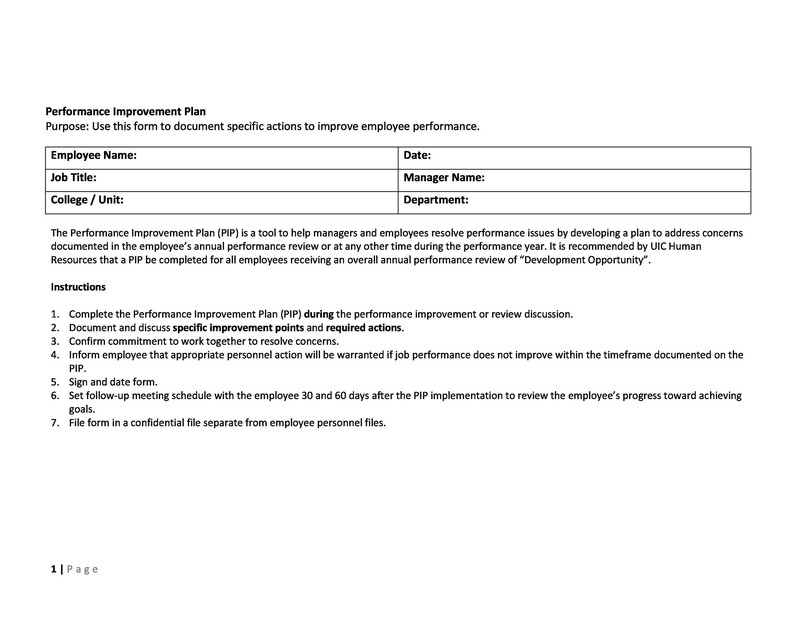 You need to make it clear to the employee that you’re using the PIP to make sure that they’re a part of the team going forward. In simple terms, your PIP should be specific and must provide the employee a reasonable opportunity for success. 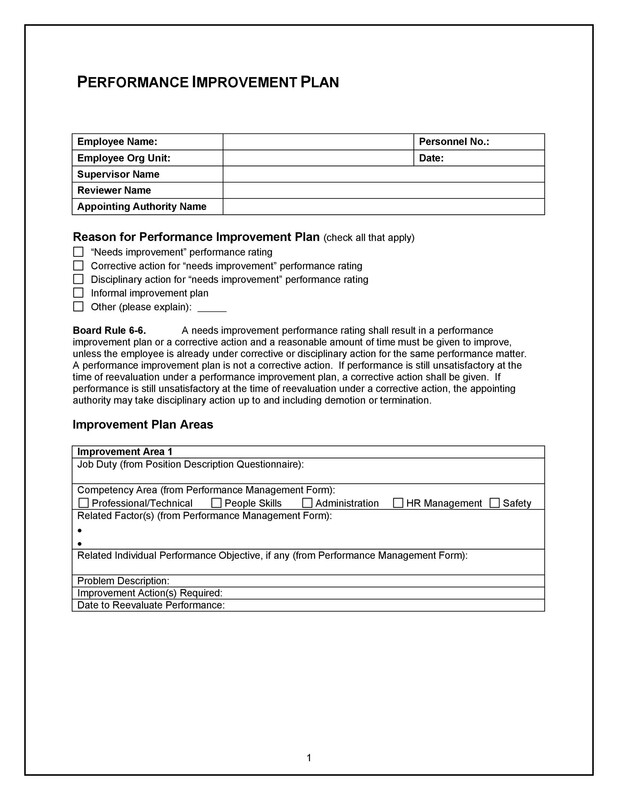 The performance improvement plan needs to identify both improvement and/or continued weakness. 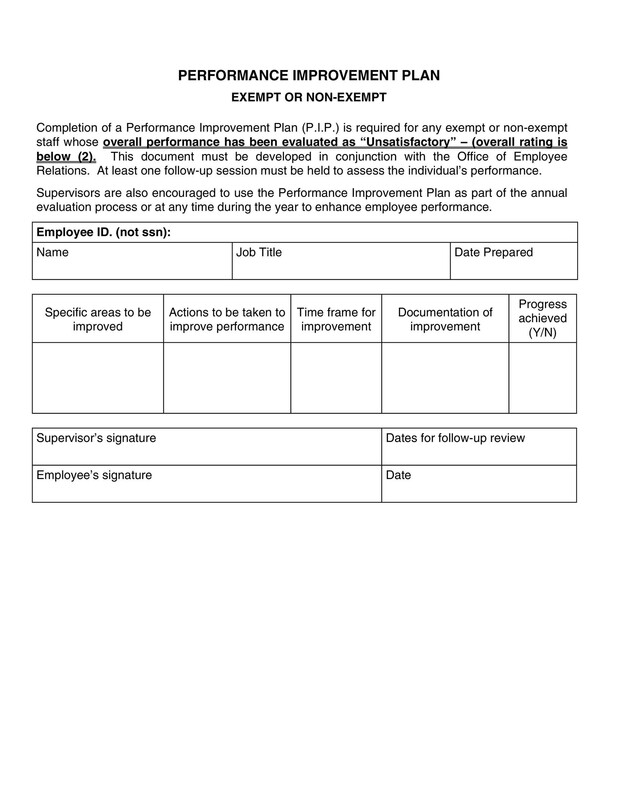 Therefore, you must update the plan and provide the updated document to the employee prior to each PIP review meeting. 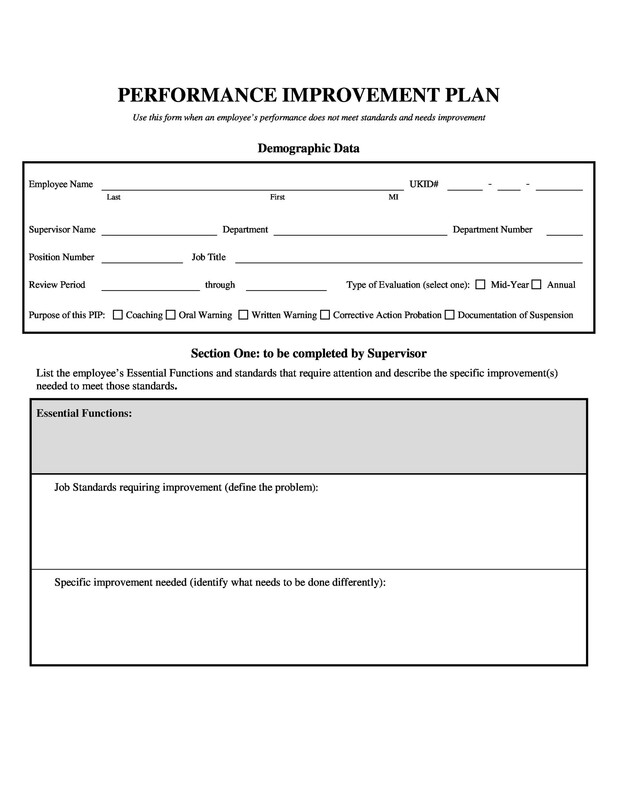 You need to determine whether or not the performance improvement plan was successful once it has been completed. It is important that you do everything in your power to help the employee succeed. However, this must not come at the expense of your company’s success. As a manager, you should take an appropriate course of action such as temporary job suspension, loss of privileges, extending the PIP for another specified period or termination of employment if the employee refuses to commit to the action plan or is unable to improve. On the other hand, you should allow the employee to continue employment and formally close the action plan if he or she responds positively by meeting the objectives. 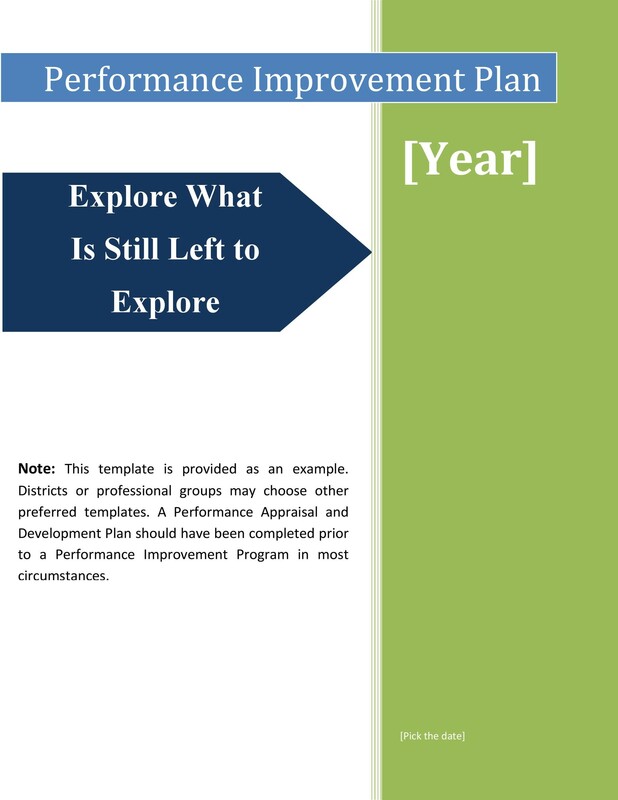 This may take place before the deadline mentioned in the performance improvement plan document. 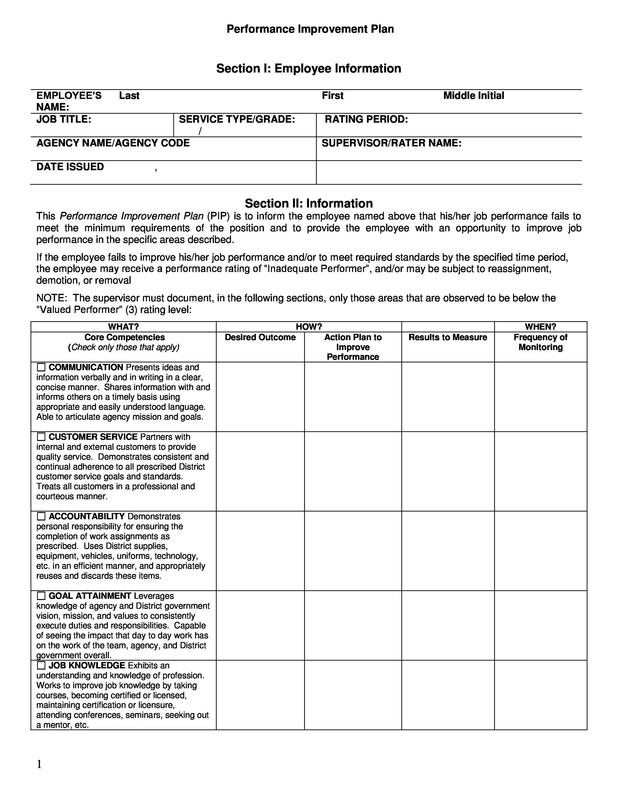 This section includes the employee’s name and position, manager’s name and position and the work area. 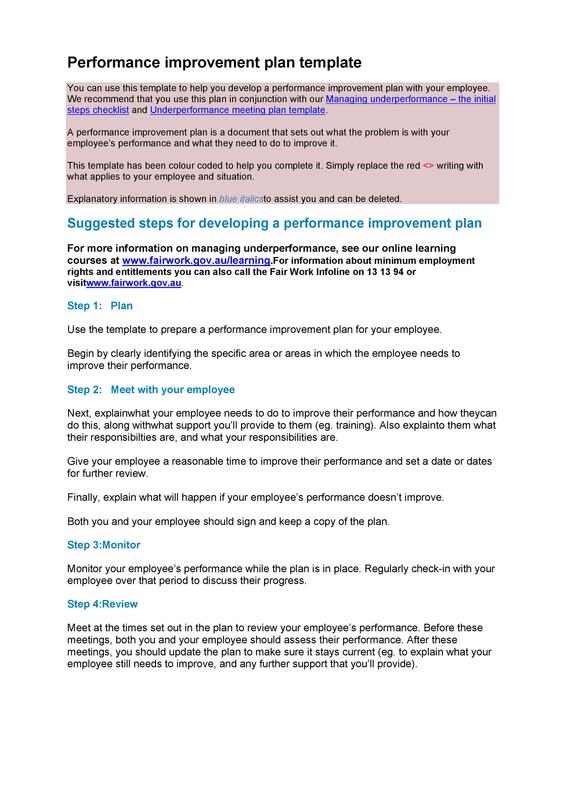 This section should reveal that problem area (s) of the employee that needs to be improved or rectified. 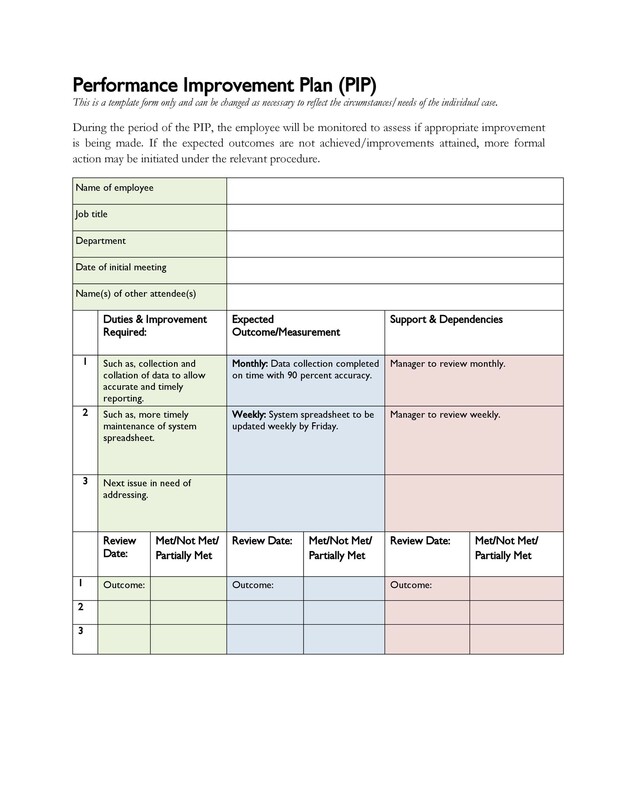 This section should include the manager’s observations, the discussion held with the employee and the counseling done. 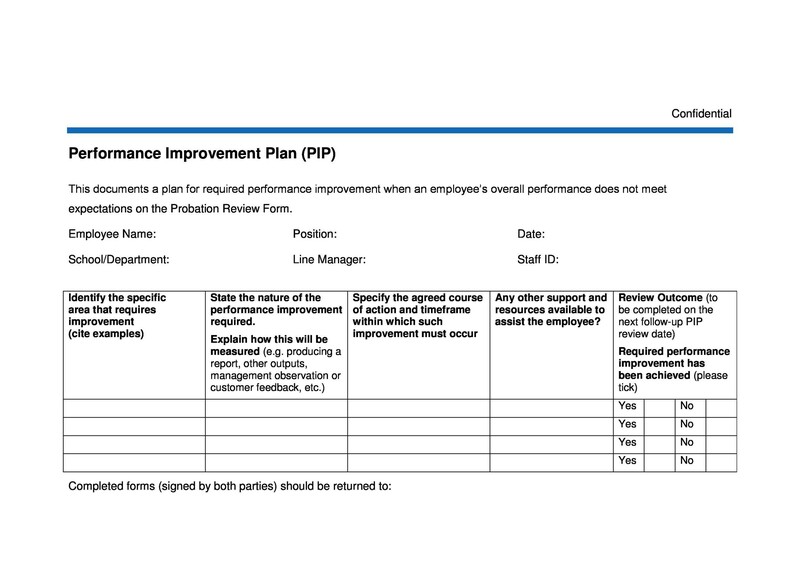 This section should reveals what the employee could do to improve/ rectify the areas of concern. 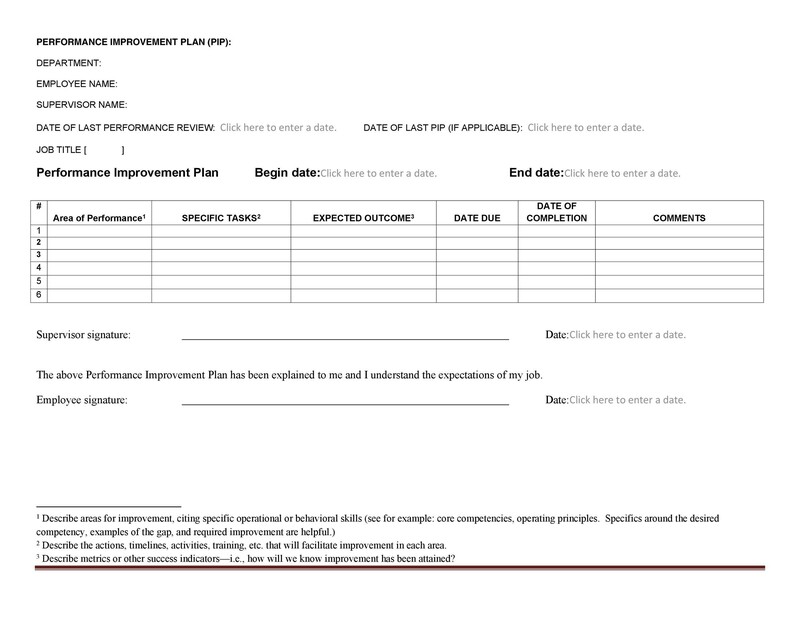 This section lists how the manager will support the employee’s Improvement activities. 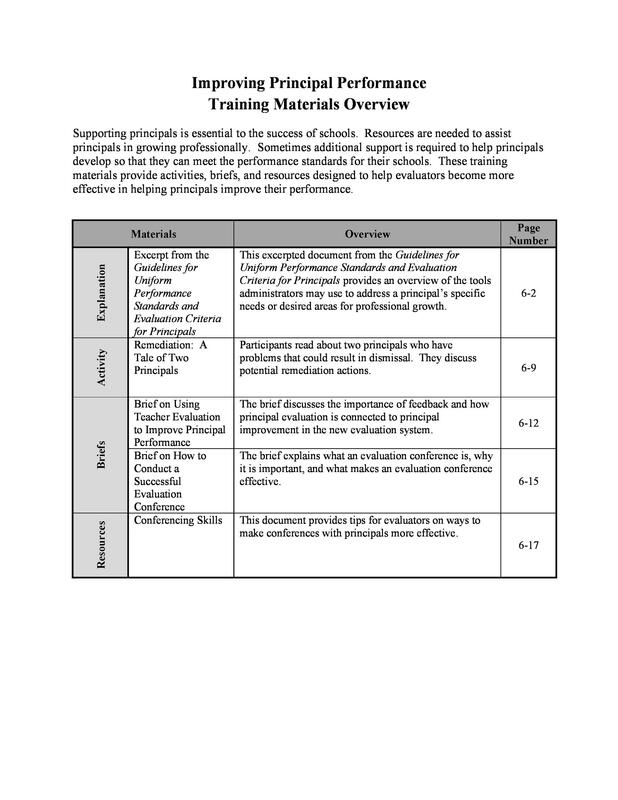 This section should include the performance standards that an employee needs to accomplish in order to demonstrate progress towards achievement of each improvement goal. 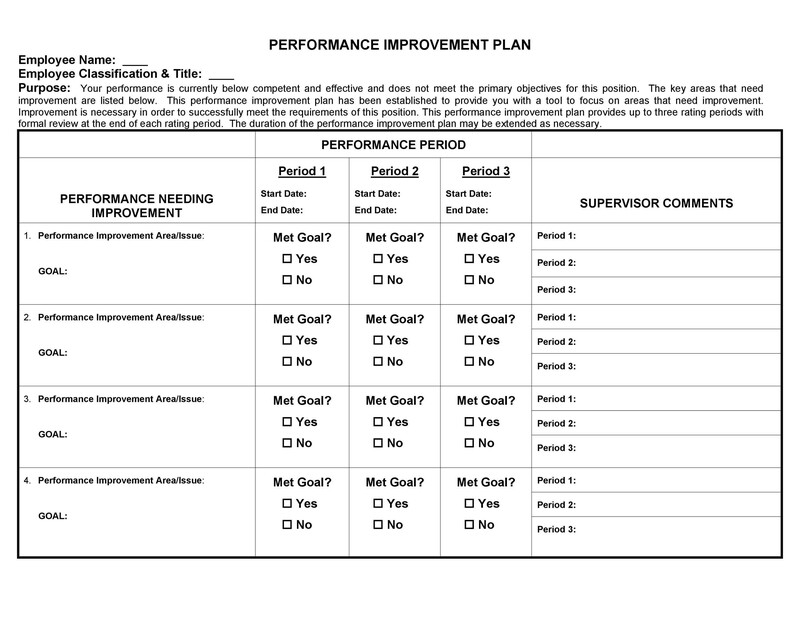 Follow-up updates: This includes the feedback the employee will receive on his or her progress at the weekly supervisory meeting. 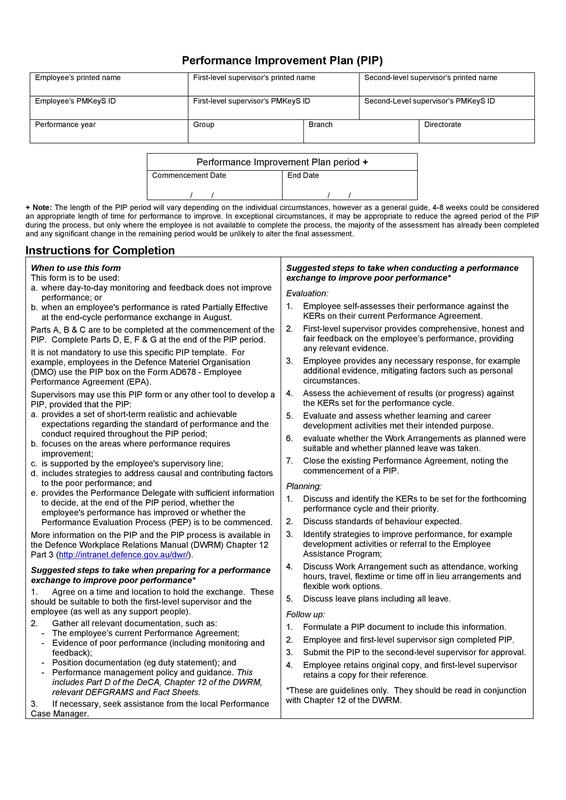 This section should include the performance improve period (start and end date), the date of performance review and date of final improvement review. 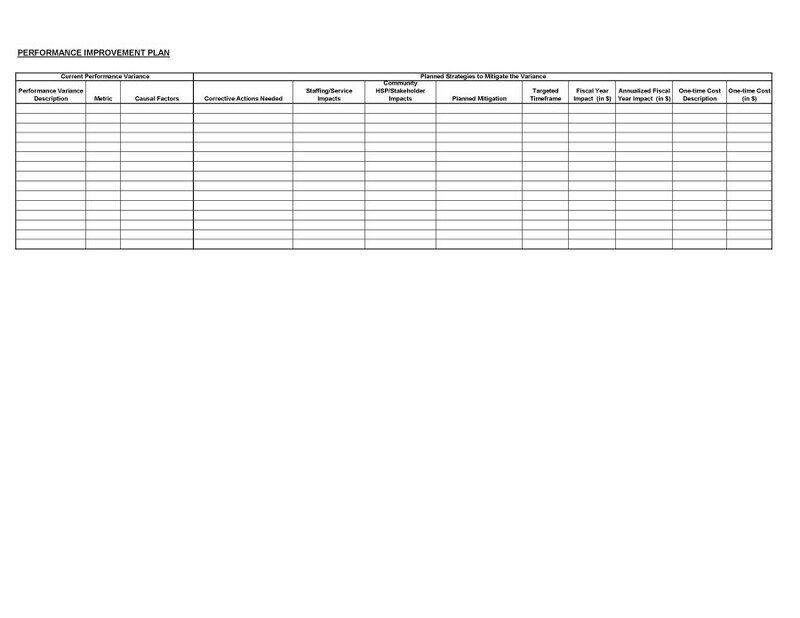 This section should inform the employee he or she is placed on a PIP for a certain amount of days. 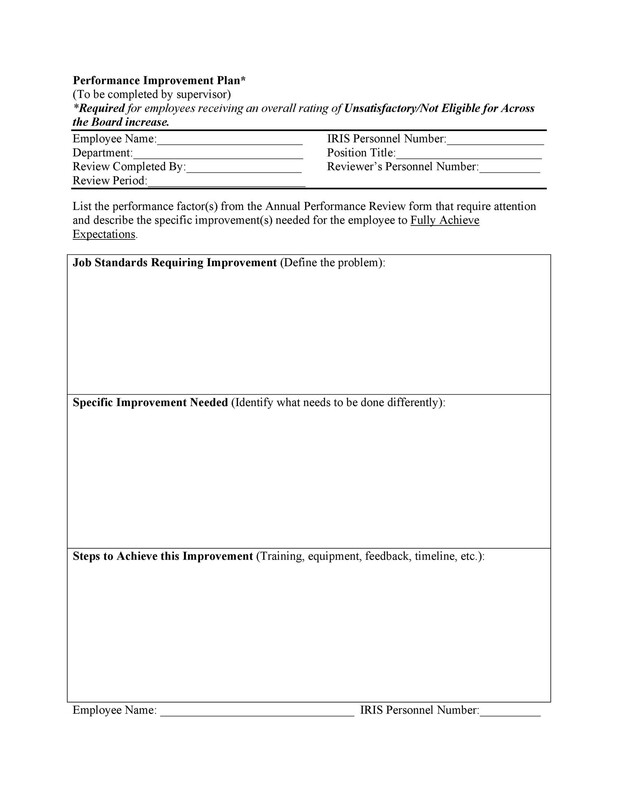 Furthermore, it should reveal the expectations you have from the employee during this time. Finally, it should state the consequences of not meeting those expectations. 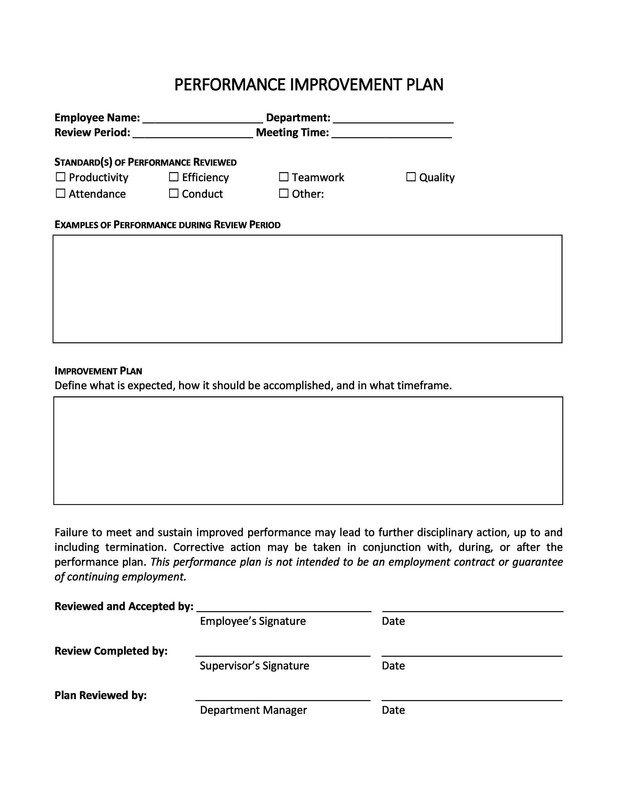 This section should include the employee’s name and signature, the manager’s name and signature and the date (DD/MM/YY) the PIP is signed on. 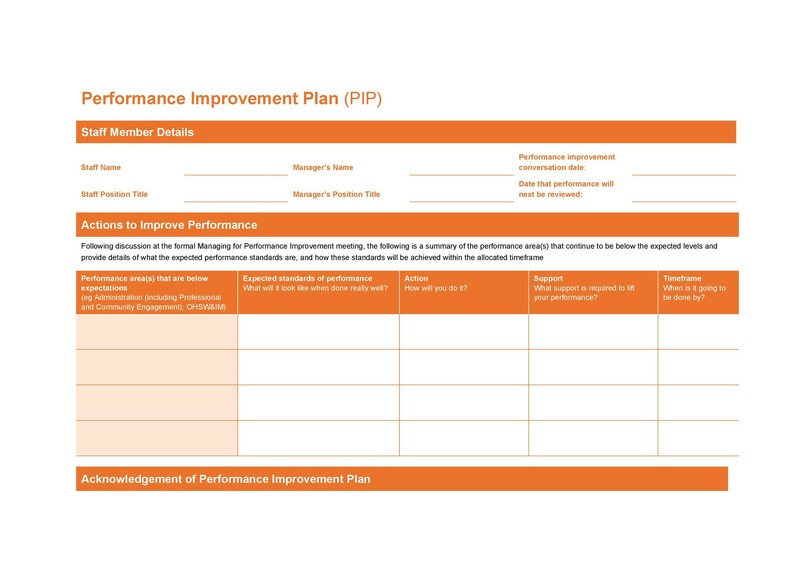 You can download our in-depth PIP templates to better understand performance improvement plan. 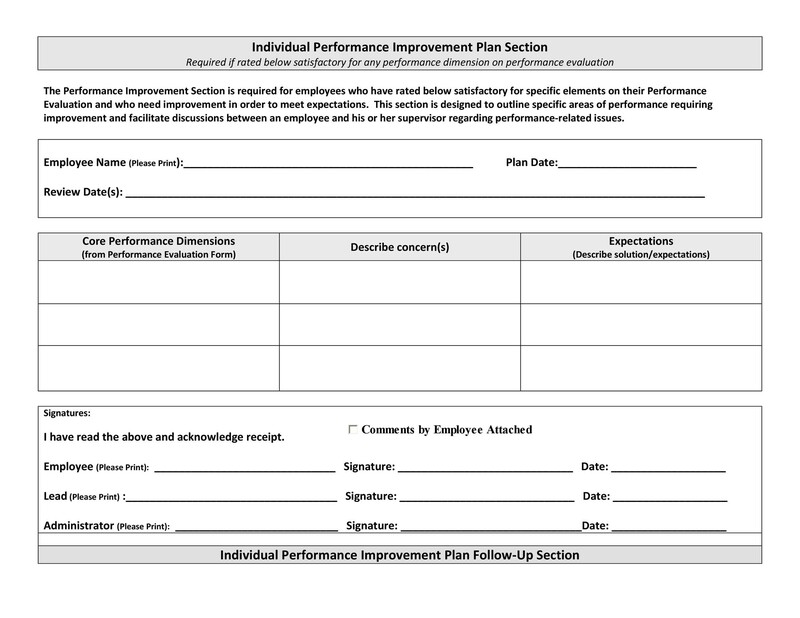 With the help of our Performance improvement plan templates, you will be able to prepare an impactful performance improvement plan that allows you to improve the performance and/or behavior of your underperforming or troubling employee/ team member.